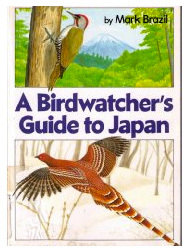 Japan Nature Guides (JNG) was founded in 2011 with the aim of providing easy access to information on the natural history of Japan, to provide information on when and where to go to watch birds, mammals and other wildlife in Japan, and to facilitate visits throughout the archipelago. 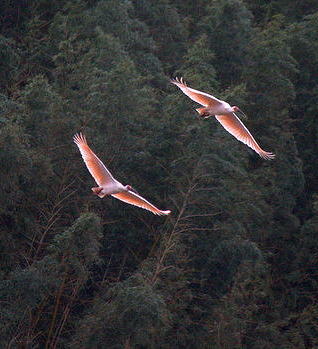 We offer guide-book information, contacts, and birding services to make your visit to Japan all the more memorable. We work in tandem with long-established local, registered travel agents capable of making all the necessary arrangements and bookings for your tour. Should you require a guide for yourself, your family or your group, we will endeavour to link you with a nationally licensed tour guide. Japan is a fantastic country in which to watch birds and mammals against a backdrop of some spectacular scenery. Come and enjoy it through the auspices of Japan Nature Guides (JNG). If your primary interest is in the birds of the archipelago then you will find our online guide to birdwatching sites of interest, which is building steadily to cover all regions of Japan. If your interest is in the mammals then scroll further down to find the Mammals section. Whether your interest is in watching or photographing birds or mammals or both, we can help you visit areas that will enhance the enjoyment of your visit. The Japanese archipelago, stretching from Hokkaido in the north to Yonaguni in the southwest, supports astonishing biodiversity. Roughly comparable in size to both the British Isles and New Zealand, and somewhat similarly located in a largely temperate region situated off a major continent, Japan nevertheless supports very much more biodiversity than either Britain or New Zealand. Some species are restricted just to Japan, such as the endemic Pryer's Woodpecker, Okinawa Rail, Japanese Squirrel and Japanese Serow, others, such as the Great Spotted Woodpecker and Eurasian Red Squirrel, range all the way across Eurasia from Britain to Japan. A wonderful country with a rich and ancient culture, Japan is also a marvelous place for naturalists. 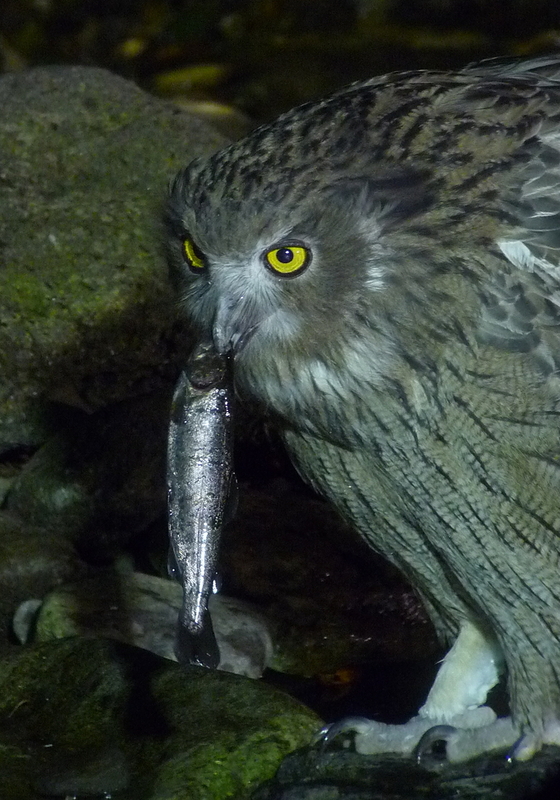 Throughout the year the range of species to look for is quite astonishing, from endemic birds and mammals of the main islands to endemic species of the Nansei Shoto, Izu and Bonin islands, alongside a tremendous diversity of Palaearctic and Oriental species, and restricted range regional endemics, such as the Blakiston's Fish Owl illustrated above (Mark Brazil) or the Crested Ibis illustrated below (Chris Cook). Behind the façade of development, outside the bounds of the metropolitan areas, and beyond the supposed homogeneity of the Japanese people there is another wilder Japan. Common images of Japan involve shiny cars, the latest electronic goods, and regimented ranks of commuters in business suits. Japan is, after all, an intensely developed country with a population pushing 127 million. The Japanese people's belief in their homogeneity is an interesting one, not supported by observation, and their reputation as "loving nature" is a surprising one when one travels the length and breadth of an archipelago showing few signs of that "love". Yet, behind the facade of development, outside the bounds of the metropolitan areas, and beyond the supposed homogeneity there is another wilder Japan. Wild Japan is astonishingly diverse, and the reasons, though apparent, are little known amongst those who travel the standard tourist circuit of this ancient country. Another myth is that Japan is a small country. It is, in fact, larger than either Britain or New Zealand, and almost exactly the same size as Germany. But Japan's most significant feature is that it is not just an island country, but a country of islands. Situated where the Oriental and the Temperate regions meet, Japan is situated on a significant natural history cross-roads. The northern island of Hokkaido has a sub-Arctic feel, while in the far south, the Nansei Islands are decidely sub-tropical. In the past the islands were connected to the north to the Asian continent via Sakhalin, to the west via the Korean Peninsula and to the south via Taiwan. These land bridges allowed mammals to cross into what later became islands as the sea levels rose again. As a result, some of Japan's more than 150 mammal species, such as the Asiatic Black Bear and the Red Fox, are widespread across Asia, while others, such as the Amami Rabbit and Japanese Dormouse, are unique to these islands. In April 1982, Mark began writing a column for The Japan Times newspaper, it was to be about the natural history, the wildlife, of this fascinating archipelago. He called that column about wild Japan Wild Watch. His column was published for 33 years in the print newspaper and he now continues to write Wild Watch for Japan Nature Guides. He covers topics relating to natural history and the environment here in Japan and to his global travels in search of wildlife. His column is reportedly the longest published natural history column in any newspaper worldwide. Over a period of three decades, Mark has written several hundred newspaper and magazine articles, various scientific papers and several popular books on a wide range of natural history, birding and travel topics relating to Japan and Asia. 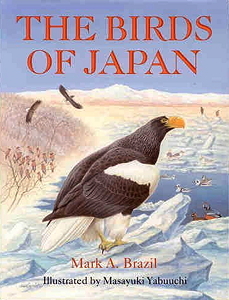 Mark is perhaps best known for his handbook entitled The Birds of Japan (1991), and most recently for his Field Guide to the Birds of East Asia (2009), which describes and illustrates all of the species you can see in this exciting region of the world, including all of the Japanese Archipelago. 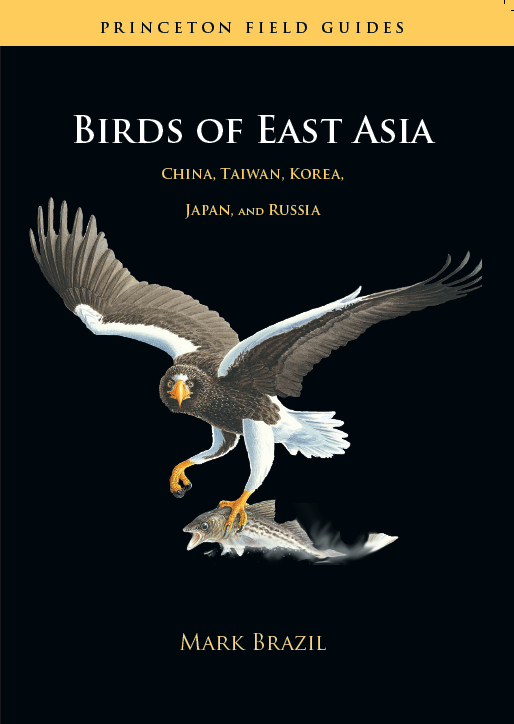 For more about this book, and for updates to it, click on this link: Birds of East Asia. Field Guide to the Birds of East Asia is now available as an e-Book for iOS and is available for purchase via the Apple iTunes store online. Mark's latest book (2014), The Nature of Japan: From Dancing Cranes to Flying Fish, is a collection of essays on the natural history of the Japanese archipelago arranged seasonally. It runs to over 370 pages and has more than 75 illustrations by Masuda Hisashi. It was published in November 2013 for distribution to subscribers and supporters, and went on general release in May 2014. Mark's latest publications (2015), Pocket Guide to the Mammals of Japan and Pocket Guide to the Birds of Japan, both delightfully illustrated by Yabuuchi Masayuki, were published on 1 August 2015. Mark has completed a new field guide, Field Guide to the Birds of Japan, the most inclusive guide for the country, which is due for publication in June 2018.